Your New Property Management System In The Cloud Access Anywhere. Always up‐to‐date. 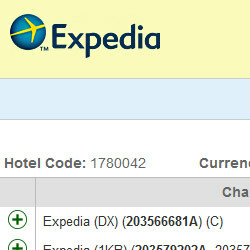 Group booking has never been easier. Flexible group hold scenarios. 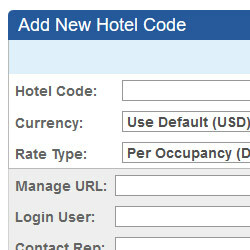 Even allow your groups to book using a special code on your OpenHotel Booking Engine. 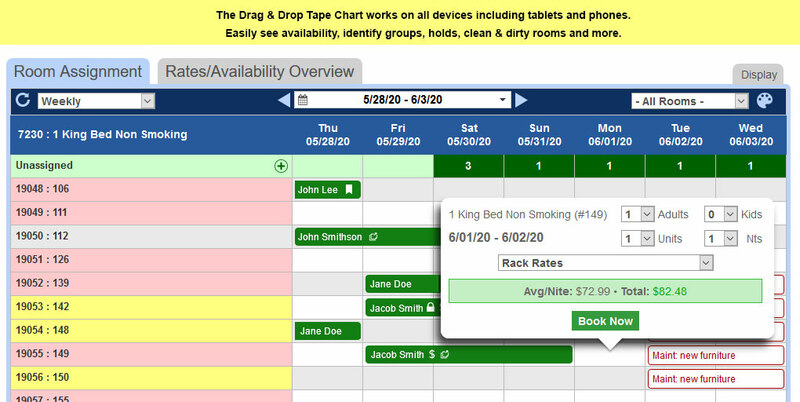 We can keep up with even the most challenging rate scenarios while still being very easy to use. 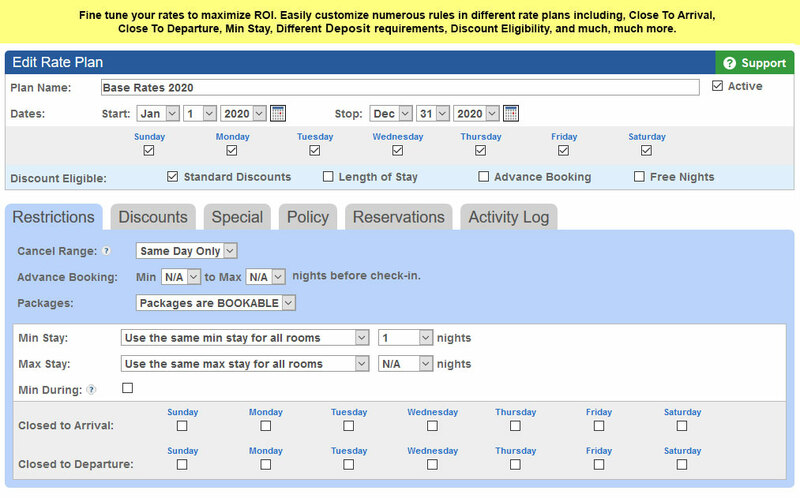 Featuring multiple discount types, promo codes, flexible LOS enforcement, and robust surcharge and tax support. Printable and exportable reports. Compare and project using customizable pace reports. Get a view of all your important metrics in one convenient location. We offer numerous ways to customize your staff's access and control what functions they are allowed perform. In addition, we employ Two-Factor Authentication to secure each account. Process payments all through the PMS using many popular gateways and merchants. 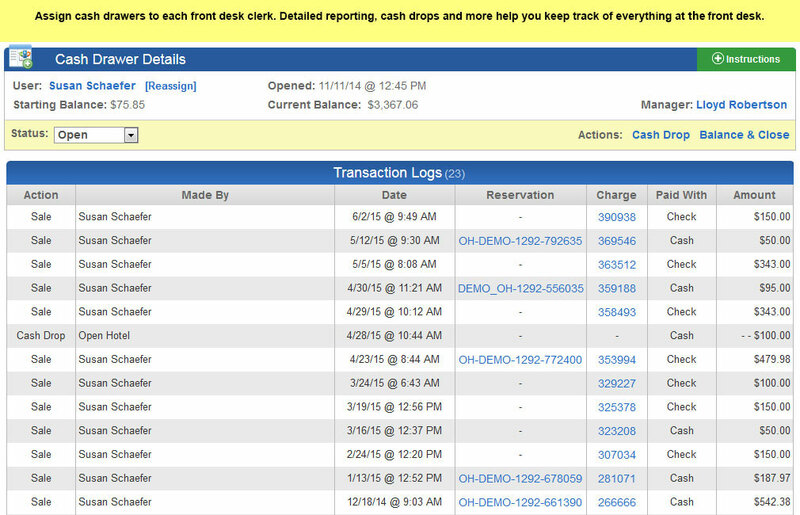 Run charges automatically based on your deposit rules, process payments from OTA's, issue refunds, and more. Get an overview of your property at a glance. Filter the grid to find just what you want. 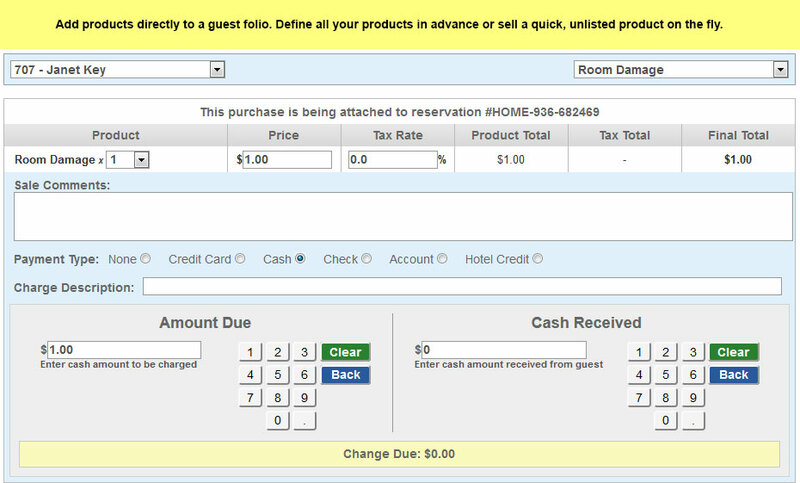 The interactive grid allows Click-To-Book, moving, assigning, upgrading reservations, and more. Control all channels from a single place. 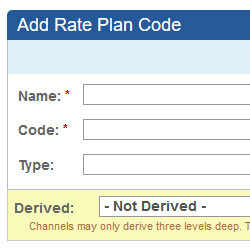 No more managing multiple extranets for rates and inventory. 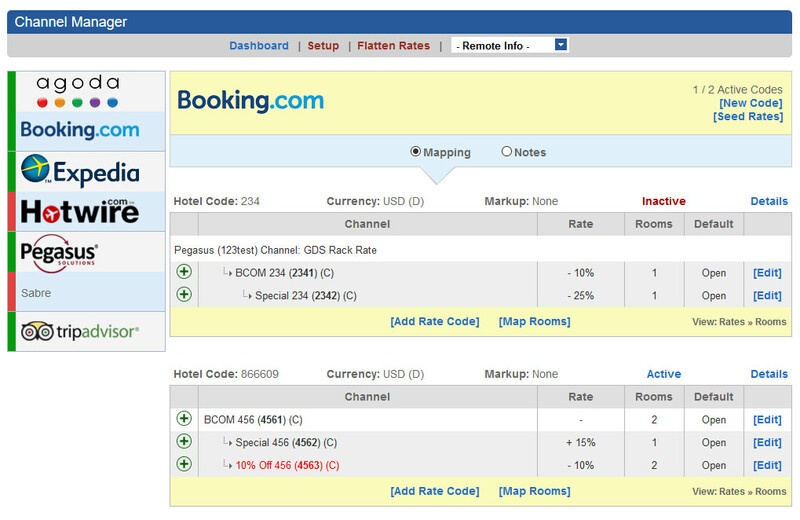 We offer direct, integrated connections into all the major OTAs including Expedia, Booking.com, TripAdvisor, and more. Manage rates and inventory across all channels. 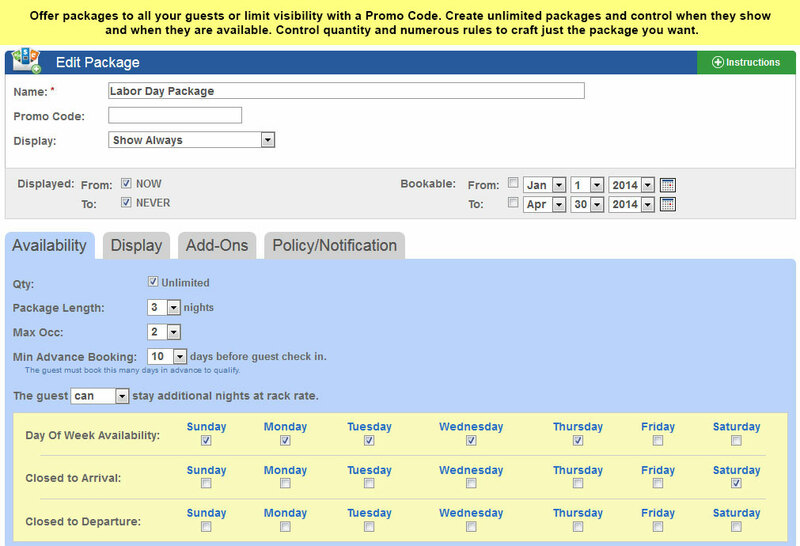 Reservations, including modifications and cancellations, are automatically added to the OpenHotel PMS. 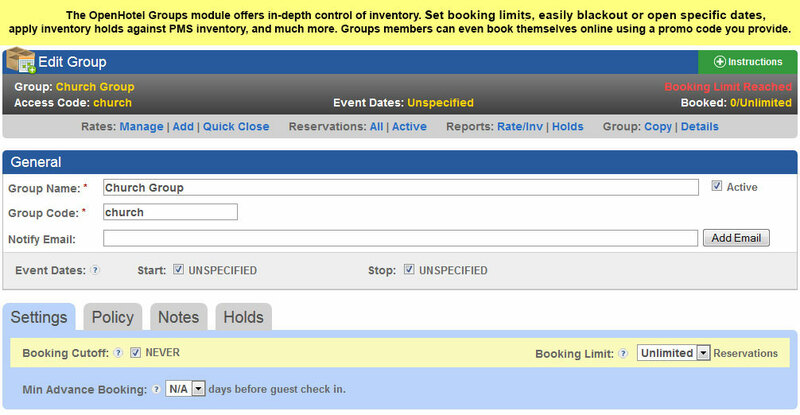 No more manual entry and no more over bookings. We offer a very full-featured suite of tools that gives you everything you need to operate your property. Flexibility is always a key focus at OpenHotel. We strive to give you easy-to-use tools to achieve the exact effect you're looking for so you can maximixe your revenue. Here is a small sampling of some of our features with screenshots to show you exactly how easy yet full-featured a Property Management System can be. 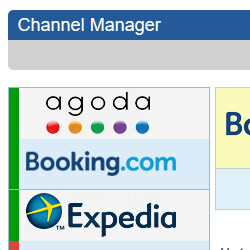 OpenHotel offers GDS and Channel Management Integration using one point of management. No more managing multiple extranets for rates and inventory! All at a price that is more than affordable. Our Channel Management software was developed entirely by OpenHotel and offers the tight integration you need to compete online today.